Democrats take control of the Congress and move Trump out of the White House. Sounds unbelievable? So what is probable and what is not? 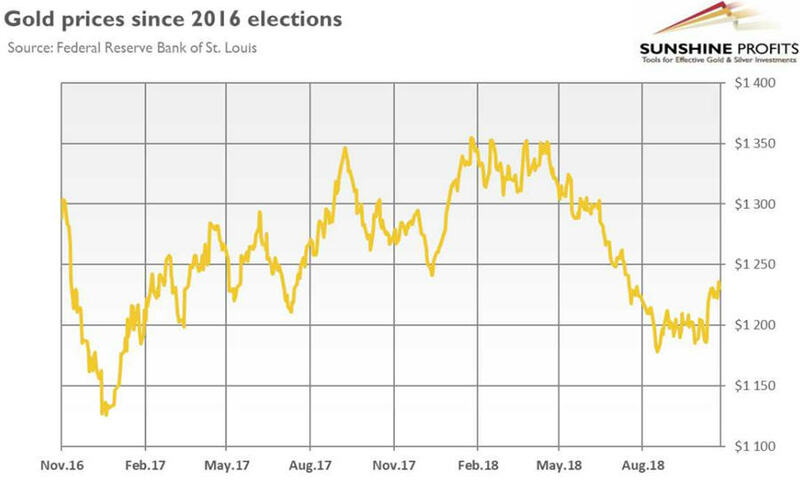 We invite you to read our today’s article about the upcoming US Mid-Term Elections and find out what are the likely consequences for the gold market. Elections are approaching the US again. Two years after Donald Trump was elected as POTUS, American voters go to the polls again on November 6th for the mid-term elections. They will elect all 435 members of the House of Representatives and 35 of 100 Senators (as well as 36 state governors and many other local officers). Who is likely to win and how will it affect the gold market? Well, the expectations are that the Republicans keep the Senate but lose control of the House of Representatives. Indeed, Democrats are ahead in generic congressional polls, which indicate overall sentiment towards the parties across the country. According to the RealClear Politics, 49.4 percent of voters are in favor of them, while only 42.1 percent of them support Republicans. But what about the seats? The FiveThirtyEight estimates the probability that Democrats win control of the lower house at 83.8 percent, but only at 17.4 percent to win the upper house (wait, why is that: don’t Republicans control the Senate by just a single vote? It’s true, but the majority of seats up for election this year are held by Democrats currently, so there are a lot more opportunities for them to lose than to win seats). Should we trust these polls? Well, the presidential election (not to mention Brexit referendum) showed that skepticism is recommended. The US economy is doing well, so the support for Republicans may hold up. On the other hand, uniquely many of Republican representatives are retiring – and it is harder to defend open seats. Obama lost 63 seats in House. OK, but why does the President’s party tend to lose seats during the midterms? The reason is simple: the opposition is energized, while the supporters of the President and his party are not as engaged. Why should they be, they have already won in the previous elections! Moreover, some of them may be alienated by the President’s unfulfilled promises (Mr. Trump, where are the wall and the replacement of Obamacare?) or actions undertaken (the funny thing is that tariffs hit Republican states the most). Who like who, but Trump can alienate people. He has very high disapproval ratings, so we expect a strong mobilization of Democrats (thus, even the Senate is at risk). And what does it all mean for the gold market? First, Trump as President and Democrats controlling the House means the political stalemate. 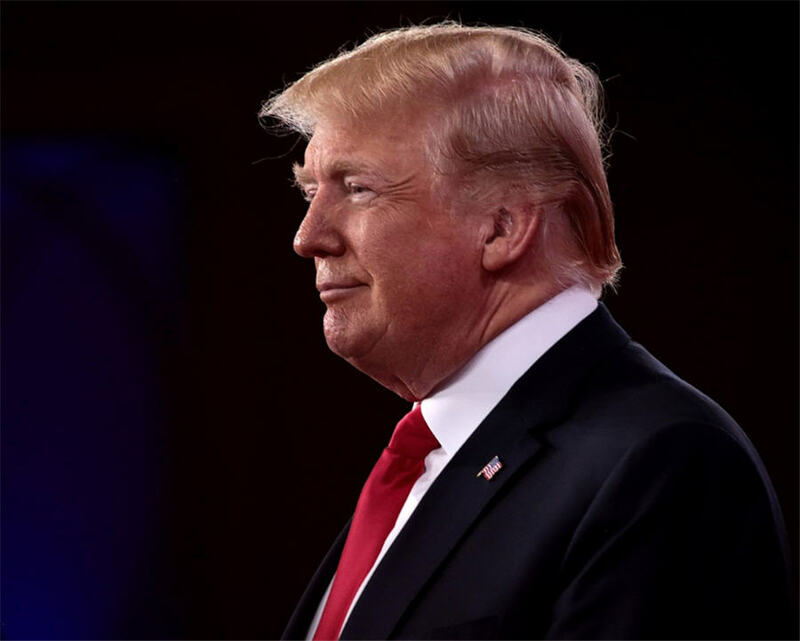 Although it is not necessarily something negative, Trump will be unlikely to pass any significant law after the 2018 midterms, with the exception of large infrastructure package which could get bipartisan support. It means that investors could scale back their expectations of more business-friendly regulatory or tax changes. The stock market could then reverse a part of previous Trump rally, which could support the gold prices. As one can see in the chart below, in the aftermath of 2016 elections, risky assets gained, while the price of gold plunged. Second, facing gridlock in domestic issues, Trump could turn stronger into foreign policy. Trade disputes may intensify and general uncertainty is likely to rise. The positive effect of geopolitical events on gold is often overstated, but that change will not harm gold, at least. Third, Democratic-controlled House could try to move Trump out of the White House. They could even impeach him, as they only need a majority of the House. But then the case goes to the Senate and a two-thirds majority is needed to remove President from the office. Democrats will not gain so many seats, so they are not likely to start the process (unless they convince several Republican senators), as it would be impractical and could mobilize President’s base during presidential elections. So, although the impeachment case may not go anywhere far, there will be some noise, which could rattle financial markets. Some investors would then turn to gold as a safe-haven asset. The effect could be temporary, it’s true, but the post-midterm era should be a better time for gold. Democrats will probably take over the control of the House. It means that pro-business agenda could be blocked. Trump will focus on foreign policy and concerns about impeachment emerge. All of these factors should favor safe assets, such as gold. With tightening of monetary policy and no fresh fiscal stimulus, the US economy could slow down, while inflation may increase (especially that tariffs block the imports of cheap products from abroad). Hence, although the fundamental outlook for gold remains rather bearish in the near to medium term, it improves in the long run, but not necessarily because of the elections (economics likely overshadow politics). So, we might say that neither blue nor red wave, but gold wave is coming!